Unclassified effects are card effects that do not fit into any effect category. Unlike conditions, they are card effects, so they can potentially be negated. They are similar to Continuous Effects as they do not activate (use a Chain), so cards that respond to activations like "Divine Wrath" and "Debunk" cannot respond to them. In OCG rulings they are described by the following. "This effect does not have a classification. It is neither a Continuous Effect nor an Ignition Effect nor a Trigger Effect nor a Quick Effect." Sometimes, these are colloquially referred to as "Conditions that can be negated". However, unlike Continuous Effects, they can be applied while the card is not face-up on the field, such as in the hand and Graveyard, or in the case of the "Multiple Tributers", while face-down on the field as well. "Summon monster effects" such as "Cyber Dragon", "Machina Fortress", "Grapha, Dragon Lord of Dark World" and "Familiar-Possessed - Aussa". As such, if "Dark Ruler Ha Des" destroys "Grapha, Dragon Lord of Dark World" by battle, "Grapha"'s Special Summoning effect cannot be used to Special Summon itself from the Graveyard. "Only-1-on-field" such as "Solar Wind Jammer" and "Malefic" monsters. Note if "Skill Drain" is negating the effect of a face-up "Malefic Truth Dragon" on the field, you still cannot Summon another "Malefic" monster, since its effect is still active while it is in the hand. "Control only one" such as "Bujin Yamato" and "Gagaga Magician". Similar to the above restriction, you cannot Summon another copy if "Skill Drain" is negating the one on the field. "Substitute Effects" such as "Destiny HERO - Departed" (... banish it instead) and "Archlord Kristya" (... it returns to the top of the Deck, instead.). 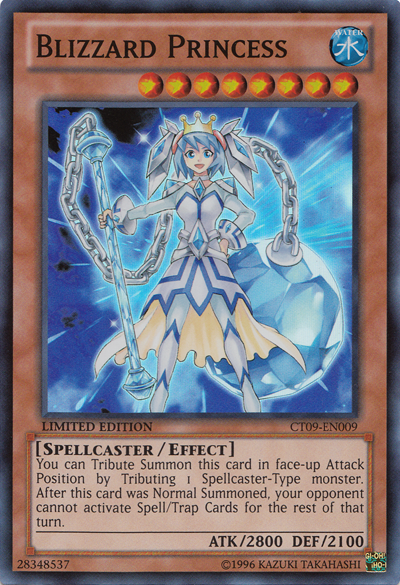 "Treated as Continuous Spell Card" such as "Pumprincess the Princess of Ghosts" and "Crystal Beast" monsters. "Multiple Tributers" such as "Kaiser Sea Horse" and "Chronomaly Mayan Machine". "Ritual Substitutes" such as "Ritual Raven" and "Djinn of Rituals" monsters. "Fusion Substitute Monsters" such as "Beastking of the Swamps" and "Mystical Sheep #1". "Graveyard effects" such as "Phantom Beast Cross-Wing", "Harpie Queen", "Elemental HERO Necroshade" and Gemini monsters. "Hand effects" such as "Simorgh, Bird of Ancestry". "Extra Deck Summon Level treat effects" such as "Road Synchron" and "Star Drawing"
"Summon cannot be negated" such as "Obelisk the Tormentor" and "Star Eater". "Grants effect when Tributed for a Tribute Summon" such as "Hardened Armed Dragon". "Grants effect when used for a Ritual Summon" such as "Djinn of Rituals" monsters. "Grants effect as Synchro Material" such as "Suanni, Fire of the Yang Zing" and "Torapart". "Grants effect as Xyz Material such as "Heroic Challenger - Extra Sword" and "Star Seraph Scepter". "Set self from hand as Spell Card" such as those of "Silver Sentinel" and most Artifact monsters. "Unconfirmed Effects That Place a Condition on the Field" such as "Constellar Pollux" and "Dodger Dragon".